This was a difficult article for me to write, for numerous reasons. I have been repeating a cocktail of excuses for the past few months including ‘I’m busy’ and ‘I’m tired’ to explain why my writing ground to a sudden halt. I spent hours staring at a blank Word Document with nothing to write. It was horrendous. However, as I finished my second year of university in April, I noticed a disturbing trend: I’m not the only one who feels like they’re always busy but unproductive at the same time. The familiar university mantras of: ‘I’m stressed, ‘I’m busy,’ ‘I’m exhausted,’ and ‘I have so much to do’, were only magnified by exam season, but I hear them year-round. In fact, I would argue that university has become a breeding ground for sleep-deprived, perpetually fatigued, coffee-slurping zombies. I wish I could say this is an overstatement. At what point did it become normal for people to host mini-battles with each other as to who slept the least? We are living in a culture that prioritizes productivity over self-care; one in which taking a break seems more detrimental than losing sleep. As I shifted towards working full-time this summer, I wanted to unpack this phenomenon. Why do we consider busyness to be such a badge of honour, even at the expense of our emotional and mental well-being? I began researching. The first thing I came upon was a spike in students seeking mental-health help, as reported by the Globe and Mail in October 2017. According to the article, McGill University has seen a 35 percent increase in the number of students seeking help from university services in the past five years. In 2016, a national survey revealed that one out five Canadian post-secondary students are depressed and anxious or battling other mental health issues. CBC News went as far as calling it a “mental health crisis on Canadian campuses”. Numerous psychologists and mental health experts have attributed this increase in mental health issues to the de-stigmatization of mental health by campaigns such as Bell’s Lets Talk, while others point to the immense pressure placed on students to succeed academically. I think it’s a mixture of both. However, if we are going to move forward as a society that rightfully recognizes mental health as valid, we must also question and deconstruct the very mechanisms in our society that foster reduced mental health. Numerous studies have shown that sleep deprivation, disordered eating and stress relate to greater likelihoods of suffering depression and anxiety. Our obsession with presenting ourselves as the paragon of efficiency and output has led us down a dangerous path, where many of us face burnout, depression, social media addiction, and poor relationships. Curiously, the American sociologist John P. Robinson from the University of Maryland, argues that our generation has more free time than ever. If this is so, why do I constantly feel like I have too much work and not enough time? Robinson contends that what we are experiencing is fragmentation: when we are constantly bombarded by emails, text messages, tweets, phone calls, and a myriad of other notifications, it can feel like our brains never get a break. Increasingly, the barrier between life and work has become blurred, such that you’ll often find a government worker tapping away at work emails on their commute home. When do we rest? In the middle of exam season in April, I took a break from it. I deactivated my Facebook, deleted Snapchat and Instagram off my phone, and went underground. This made me feel better and freer, but only for a little while. Soon, the work started to pile up again. I still wasn’t writing as much as I wanted to. The bags under my eyes started reappearing. At a certain point, I got tired of being so tired all the time. Deleting social media was my first step, but what truly helped me to refocus on my goals was to stop telling myself that I am busy all the time. I stopped cramming every waking hour with work. Instead, I started making time to go for walks, to cook with my Mom, and to listen to music. I established a boundary between leisure and work time, and when it was time to work I set a timer and focused on smashing my big lofty goals in little chunks. This doesn’t mean that I don’t feel stressed or overwhelmed. However, I’ve started developing coping strategies and ways to get the rest and relaxation my body needs. We must eliminate this vicious rat-race that squeezes out any time for leisure and rest. Although I love memes, Instagram stories and cat videos as much as the next Millennial/Gen Z, turning off your phone is a good place to start. Take a nap instead. And please drink some water too. Associate Editor Kika Otiono is a 3rd year student in Carleton University’s Humanities and Biology Combined Honours program. She currently works as Student Researcher in Carleton’s Department of Biology, for which she was awarded an Undergraduate Research Award from the Natural Sciences and Engineering Research Council of Canada (NSERC). 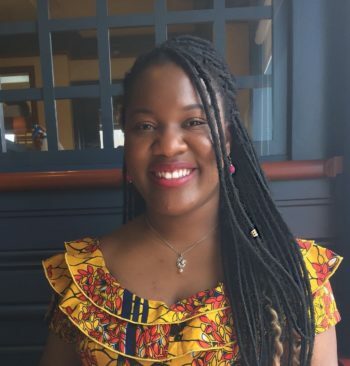 Kika is the Associate Editor for Black Ottawa Scene and has won numerous awards for her writing, academic distinction, and community involvement. She is an avid reader and lover of rock bands, Broadway musicals, and sci-fi movies. If you would like to submit an article to Black Ottawa Scene or have other inquiries, you can reach Kika directly at kikaotiono@gmail.com or www.linkedin.com/in/kikaotiono/. A very timely intervention. Interesting too. Thanks Kika. Kika, I can’t even find the adequate words to express how I feel each time I am opportune to read your write ups, you’re are a blessing to our community. May the good lord continue to bless you in all your endeavours. I think this issue deserves all the attention we can give it. Thanks, Kika. …very thorough write-up. Kika, you are simply too good at your work! Keep doing the good work!! This is uncommon perspective with lucid expressions. Great piece. Kika, I am so proud of you for writing this article and for your approach to the content.